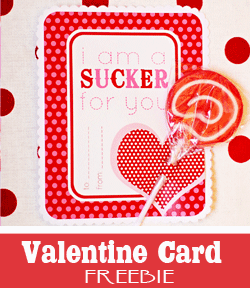 Amanda's Parties To Go: Valentines Printables On Sale Now! It's time to pull out all the pink and red... doilies and hearts... and share a little love with those closest to our hearts. Yes, Valentines Day is only two weeks away! It's time to order those printables and download those freebies for sweet parties, treats and gifts for teachers and friends. 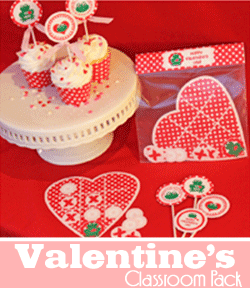 Amanda's Parties To Go's VALENTINES DAY PRINTABLE set is only sale now for only $9.00 and includes everything from cupcake toppers to banners, favor tags to activity sheets for kids, heart cut out for decorations and the list goes on and on. It's packed full! I hope to reveal more photos from the photoshoot featuring this collection very soon. 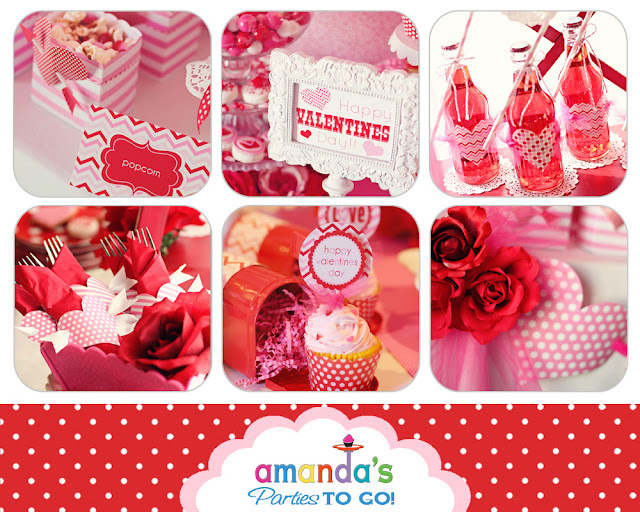 And don't forget to download all of Amanda's Parties To Go's Valentines freebies, too! 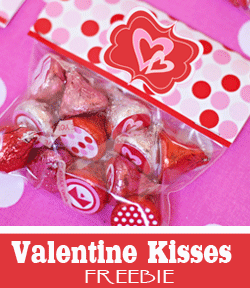 These are wonderful for classroom parties and favors.